Selfies in a Day or Escapade in a Day? Snow conditions not really allowing some of the off piste short cuts for the Escapade in a Day yet but the Selfie Machines in a Day is a fairly easy trip around The Three Valleys. If you did it the ad-hoc unplanned way we did it – with lunch at La Boulotte in 1650 and a lift shut – then you just about ski Everest vertical in a day (8848m) with a round trip of 55km (around half the distance and vertical of the Escapade in a Day). There is a much better route if you think about it! 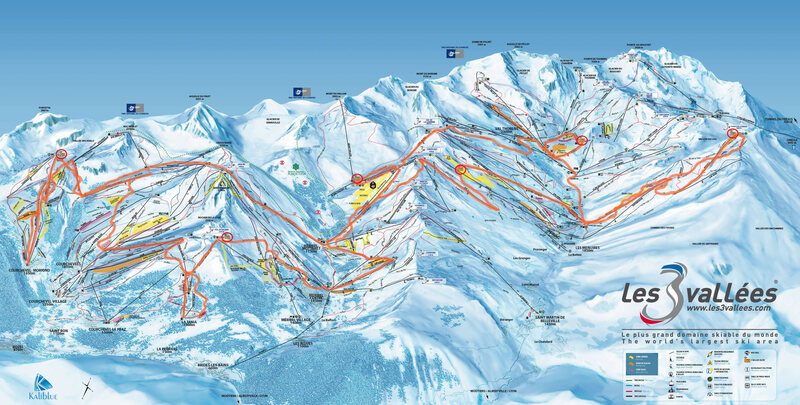 The selfie machines are operated by the 3 Valleys App or going to http://selfie.les3vallees.com/3vallees/select/ on your smart phone, select the machine you’re at and take the photo when you’re ready, then enter your email address to get the link. Will be nice to do it on a much better weather day too! Col de la Loze at top of Lanches and Loze Express chairs – just on the start of the Boulevard toward Meribel.